This Wednesday night will mark the long awaited debut of Woes Martin’s new Panda King III Mini Resin Figure! 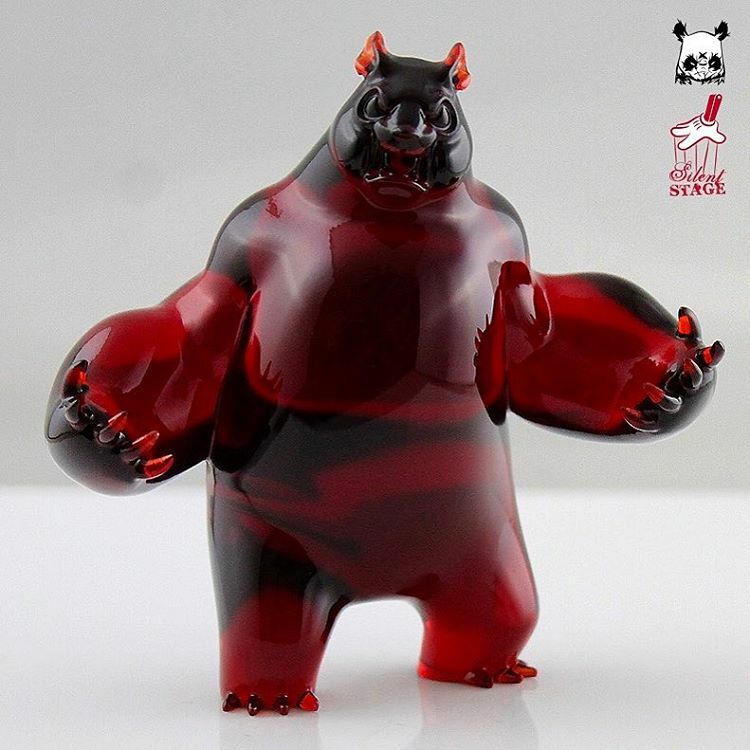 Produced by Silent Stage Gallery, the new Panda King III Mini is cast in sold high impact resin and stands 4” tall and 4” wide. 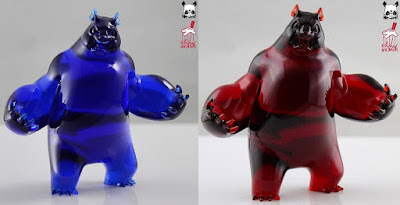 To kick things off, the PK3 Mini will be released in two awesome translucent colorways: Pele (Lava Red Clear) and Pacific (Deep Ocean Blue Clear). Both colorways are limited to just 100 pieces and will retail for $59.99 each. 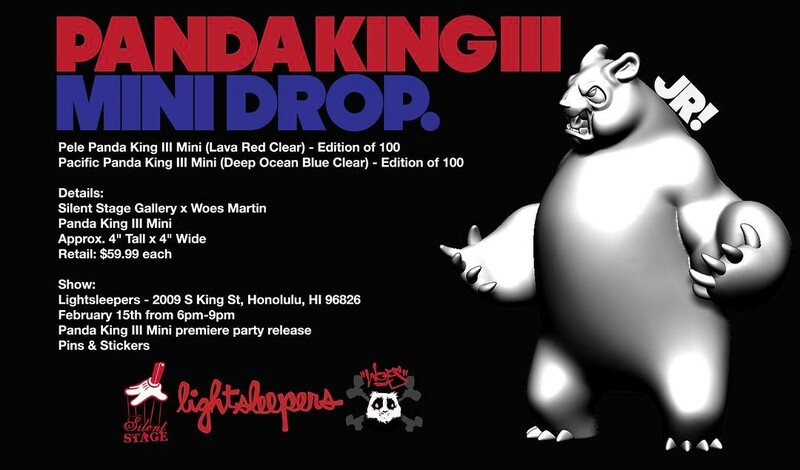 To commemorate the Panda King III Mini’s debut, Lightsleepers (2009 S King St, Honolulu, HI 96826) will be hosting a premiere release party on Wednesday, February 15th, from 6-9pm. Woes will be DJing at the party and there will be pins and stickers for sale along with the release of the PK3 Mini. Silent Stage will also be hosting a raffle for a killer 1-off Panda King III Mini…so don't sleep!